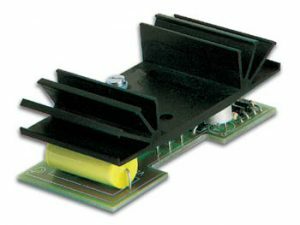 3.5 Digit Panel Meter Kit – CK0104. Soldering required. 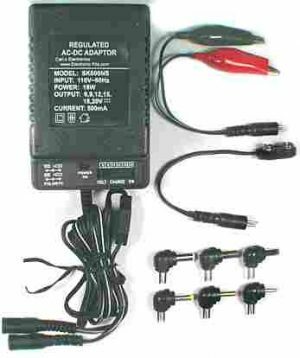 This 3.5 Digit panel meter kit has a very flexible design that can be customized to your own VOLT meter or AMP meter needs. 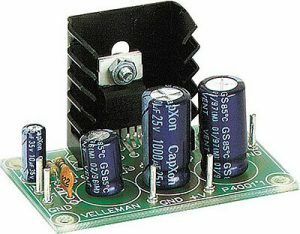 It may be customized to measure any voltage range, standard or not. This 3.5 Digit LCD panel meter kit has a very flexible design that can be customized to your own VOLT meter or AMP meter needs. 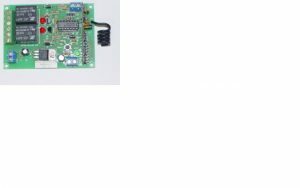 It may be customized to measure any voltage range, standard or not. 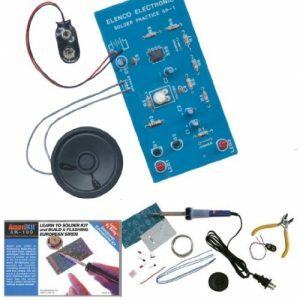 Or you can customize it to measure input from a transducer; full details are included. 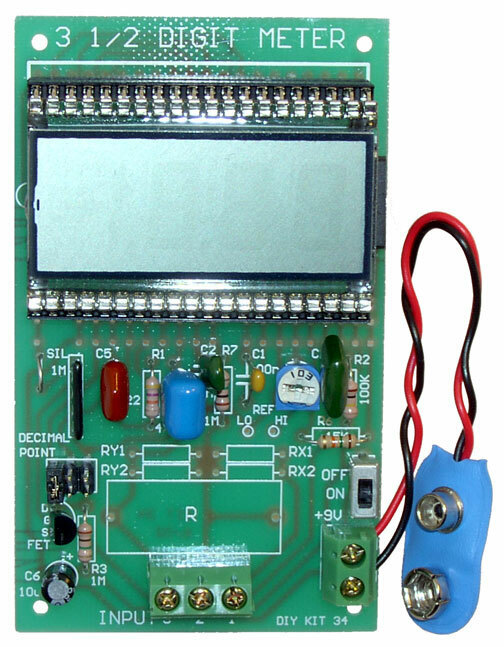 The LCD readout may be mounted away from the main circuit if needed, interconnected with ribbon cable. 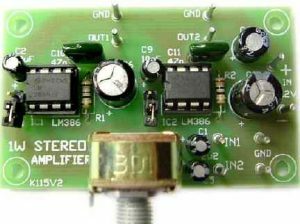 Operates on 9 Volts DC and has uses very little current – DIY Kit 34. L: 2-1/4″ W: 3-3/4″ H: 3/4″. All parts included (does not include case). Will read and display positive and/or negative voltage.